With a PhD in Regional Planning and Local Development at the Polytechnic of Turin, he is researcher in the Department of History, Archaeology, Geography, Fine and Performing Arts at the University of Florence, where he teaches Historical and Political Geography. 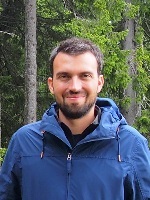 His research interests involve social, political and environmental geography, and include: environmental policies; regional sustainability and regional organization, with a specific focus on energy transition and agri-food networks; urban marginality and socio-spatial justice; policies and practices of local and urban development; and geography education and didactics. He has conducted fieldwork in different countries and cultural contexts. He is involved in international and national research networks, and his work has been published by refereed journals and publishers in Italy and abroad.